Looking for a seven or eight-passenger crossover SUV that gives you a spacious and high-quality cabin, capable and comfortable performance, and five-star safety? No, it’s not a dream; it’s the 2017 Chevy Traverse in Albany, NY — and DePaula Chevrolet has all the information you need to make your purchase. The comfortable performance comes from the exceptional engineering and construction of this vehicle, whereas the capability hails from its above-average towing capacity, produced by its V6 engine. On the fuel economy front, the ratings aren’t bad either, whether it’s a FWD or AWD model you’re considering. A high-quality cabin is accompanied by three rows of comfortable passenger space, with the third row actually able to fit both children and adults comfortably. The five-star safety is due, in part, to the advanced technology that’s found on the Traverse. The new Traverse is just an all-around good crossover SUV, one of those vehicles that’s easy to fall in love with, and hard to let go of. For crossover SUVs, the 2017 Traverse is quite impressive in the performance department. Its sole engine choice might be your typical 3.6-liter V6, but it provides it with above-average towing capability. Combine that with the fact that it’s available in either FWD or AWD, and you have a crossover that’s able to (almost) compete with traditional SUVs. Furthermore, it has exceptional ride quality, thanks to the construction of the vehicle. This new Traverse has a single engine choice: a 3.6-liter V6 engine. That might sound disappointing at first, but the fact of the matter is this still puts out 281 horsepower and 266 lb.-ft. of torque on the LS and LT trim levels. When this engine is equipped to the Premier model, the power output is increased due to a dual exhaust system (exclusive on the Premier trim). This bumps the output up to 288 horsepower and 270 lb.-ft. of torque. Sure, it might not be a different engine, or even a significant increase in horsepower or speed, but that extra torque really gives it some pulling and pushing power in the lower gears. It does more than you think, especially when compared to the lower trim levels. Considering that when it’s properly equipped, the Traverse is able to tow up to 5,200 pounds, a higher-than-average number for this class. Performance is far from average. This engine is mated to a six-speed automatic transmission, which is the sole transmission option for this vehicle. The fuel-efficiency is going to differ slightly, depending on if you opt for all-wheel drive or front-wheel drive. Therefore, if you don’t need the extra capability AWD provides, go with front-wheel drive because it will net you better fuel economy. For those looking to grab AWD, it’s not that drastic of a change when it comes to fuel economy. Refreshing, considering fuel economy tends to plummet when all four wheels are spinning. A front-wheel drive Traverse will net 15 mpg city/22 mpg highway, which translates to 18 mpg combined. On AWD models, you’ll see 15 mpg city/22 mpg highway, which translates to 17 mpg combined. Meaning, it’s really only a 1 mpg combined drop in fuel economy. Not bad at all. Apart form that very refreshing 1 mpg drop, these numbers are perfectly average for a larger crossover SUV. The fuel-efficiency and towing capacity aren’t the only things to get excited about. After all, the ride quality is exceptional. You might feel hesitant taking on such a large crossover SUV, but, it’s important to note that it (surprisingly) feels right at home on the highway, thanks to that bulky 3.6-liter V6. Would it be quicker with a V8? Yes, but it doesn’t need one to merge on to the highway. Plus, then the fuel economy would really drop. Thanks to the construction and engineering of the vehicle, the ride quality is great. It’s solid enough that when you hit a bump, you won’t hear any rattling. It’s also heavy enough — but not too heavy — that when you go over a bump, you won’t be thrown from your seat, or even really feel it at all, honestly. That’s just the nature of larger vehicles in general. But the reason why the ride quality is so nice, is because the Traverse takes those large vehicle qualities, and mingles them wth crossover fuel-efficiency, handling, and performance. It’s a true best of both worlds scenario, and the cherry on top is the sound-deadening materials for the cabin that keep the wind and road noise out. It’s not sporty, nor is it zippy. But, it does possess a well-rounded ride, which a lot of vehicles fail to provide these days. Just like the capability and safety, the 2017 Traverse’s interior handily beats the competition in both passenger space and quality. An abundance of head and leg room are provided to front-seat passengers, and second-row passengers have comfortable accommodations as well. Admittedly, the low-height of the bottom cushion in the back might leave taller, second-row passengers wishing for more legroom. If that’s desired, all you need to do is slide the second-row seats backwards. Just make sure there are no full-size passengers in the back, because the third-row bench isn’t equipped to deal with taller passengers (but what third-row vehicle is equipped for that, other than a gigantic minivan?). It’s still capable, however, of handling larger kids much better than the competition. Nice, considering typically only small children can fit in the third row of most large crossover SUVs. Large rear doors make access to the third row easy, complemented by the capability of sliding the second-row seats forward. Looking for a large crossover SUV that has an overall high-quality cabin? Just like most other Chevrolet vehicles, you’ll find that in the Traverse. Not only is the cabin space comfortable, but the materials used are top-notch. Combine that with a handsome layout, and it’s hard not to fall in love with the new Traverse. That’s just the base-trim cabin; upgrade to the Premier, and it goes from overall high-quality materials with a nice layout to a deluxe luxury experience. With a 6.5-inch MyLink touchscreen displayed in the center, you’ll have all the latest and greatest infotainment technology at your fingertips. But, it’s also aesthetically appealing when worked into the rest of the dashboard. You really can’t go wrong with the interior of a 2017 model produced by Chevrolet, and the Traverse proves that fact, yet again. It’s a Chevy. So, naturally, safety on the 2017 Traverse is equally impressive. Preventive, protective and responsive safety features can be had on this model in abundance, all of which clearly paid off when it came to government crash testing scores. The new Traverse is actually one of the best large crossover SUVs in the segment when it comes to safety. The NHTSA (National Highway and Traffic Safety Administration) has awarded the Traverse an overall 5-star safety rating. In IIHS (Insurance Institute for Highway Safety) crash tests, the Traverse scored top marks in all categories, right up there with the best of the best in this class. While the build quality and protective features (safety cage and airbags) have a lot to do with the safety of the Traverse, it’s the advanced preventive safety features that really make it shine. Like all Chevrolet vehicles, the automaker feels the best way for the Traverse to respond to an accident, is by not being in one in the first place. That’s where features like lane departure warning, side blind zone alert, and rear cross traffic alert all come into play. These are optional features — or standard on higher trim levels — that either use radar or cameras to provide the driver with warnings and information about whether an action is safe to perform, or alert you if the car senses that you’re not paying attention. For example, lane departure warning will alert you if you drift out of your lane unintentionally (not using a turn signal) so you can get yourself back on track. With side blind zone alert, an alert will pop up if it’s not safe to change lanes on the highway (or in a city) because there is a vehicle in your blind spot. Rear cross-traffic alert alerts you to any vehicles or pedestrians crossing from behind on the left or right, which is especially useful in a parking lot. Optional for most trims, but all of these come standard on the Premier trim. There’s also many more optional and standard features available on the 2017 Chevy Traverse. OnStar Automatic Crash Response technology does exactly what it sounds like: provides you with help in the event of a collision. If sensors detect a collision, and OnStar Advisor will be connected to your vehicle to ask if you need assistance. If you can’t respond or do need assistance, the Advisor will relay your information – most importantly, your location – to emergency services. Bottomline: with the safety features found on the 2017 Traverse, you’re ready for whatever the road decides to throw at you. DePaula Chevrolet in Albany, NY is much more than just a place to buy a car. It’s also a place to go if you need information on any new or used Chevrolet models. We know all of the Chevy vehicles on our lot like the back of our hands, and aren’t afraid to answer any questions you might have. No, that’s not just so we can close the sale faster. It’s actually because we truly care about our customers, and want to help you find the best car possible. 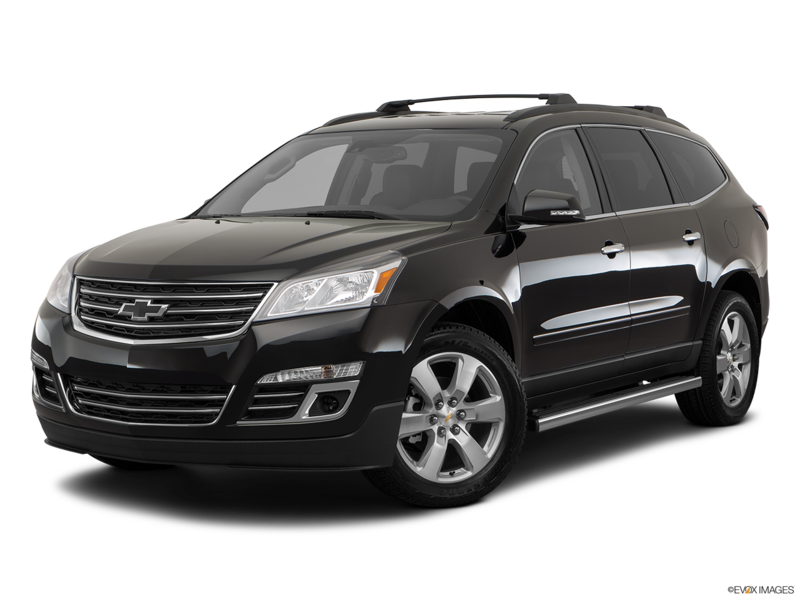 Whether that vehicle is a larger crossover SUV, like the 2017 Chevrolet Traverse for passenger space and ease of navigation through Albany, or one of our new compact Cruze models. Our technicians are also extensively trained, and know all the mechanical components of Chevy vehicles – inside and out. Our finance department can help you find the best deals possible for a loan, and we ensure transparent and upfront pricing. These qualities, combined with our broad knowledge of Chevrolet models is only a fraction of what we offer at DePaula Chevrolet, and we’re sure you’ll leave satisfied. Whether you came in for mechanical work, to buy a new car, or even just to trade-in your old one – your satisfaction is our guarantee.